Kitchen sideboards have many uses and they come in different sizes and designs. They can be used as buffet display and storage system. 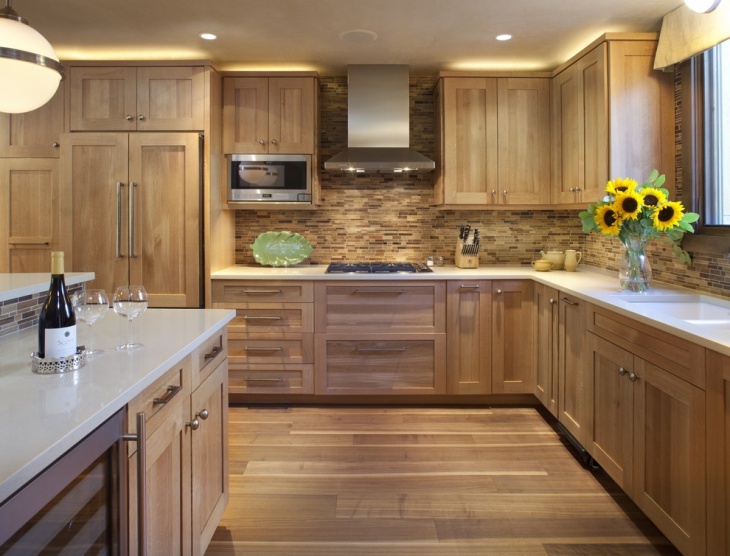 Choosing your kitchen sideboard design should be based on what you need it for. Some people go for sideboards if they want a modern kitchen cabinet without having to use a built in cabinet. There are sideboards that are used as extensions to the sink, while others are designed to provide platforms for ornamental displays. This small kitchen sideboard provides this space with an antique cabinet that is used to display valuable chinaware. 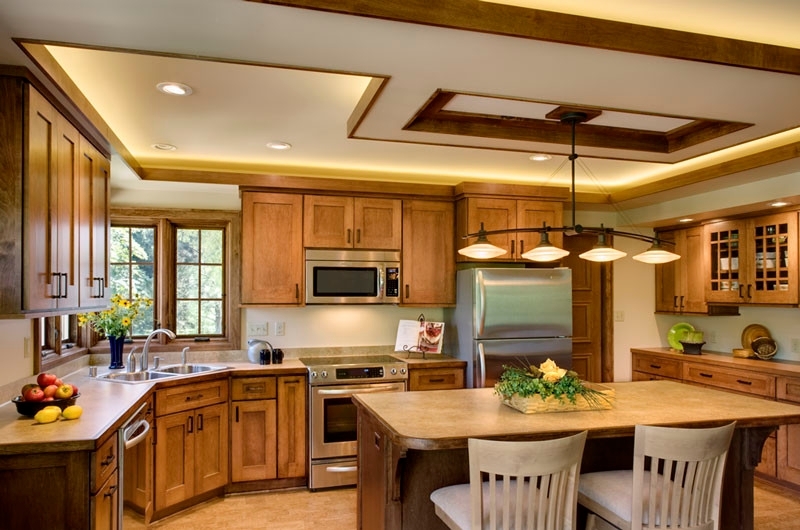 The unpolished wood look provides a rustic appeal into this traditional small kitchen. 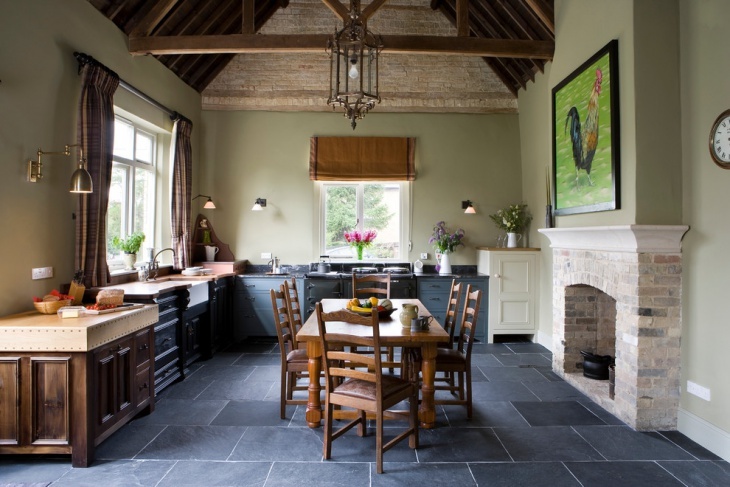 The result is a kitchen with items that bring back the old house feel. If you want to go for the vintage look, this sideboard could be of interest to you. 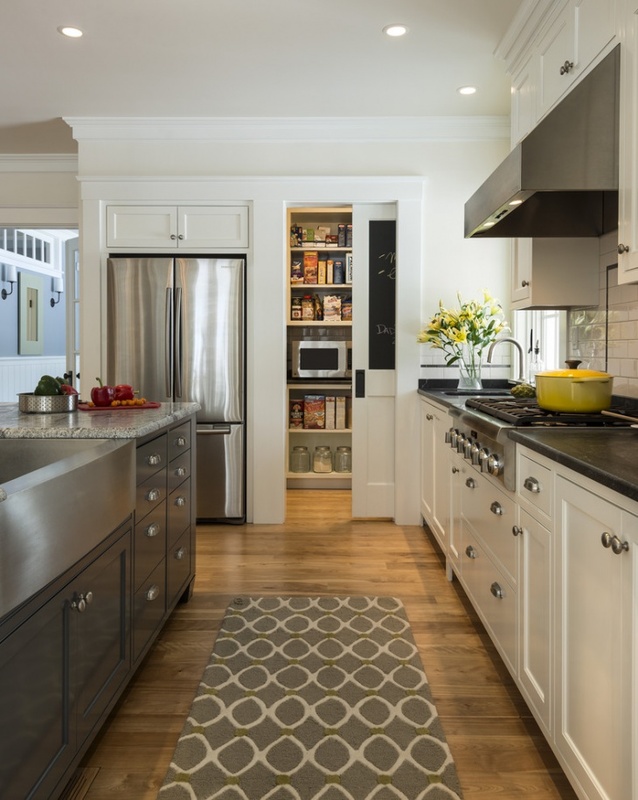 It has a vintage design that having it in the kitchen is like being in a place where your grandmother used to prepare and cook meals. The black look is definitely in trend. 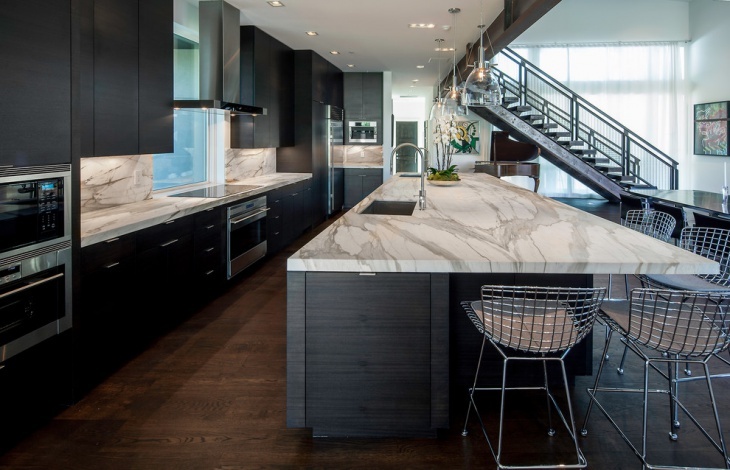 This ultra modern kitchen is designed with matte black finished cabinetry that give that space a kind of elegance that only black can bring. Not many people go for tall kitchen sideboards or cabinets. 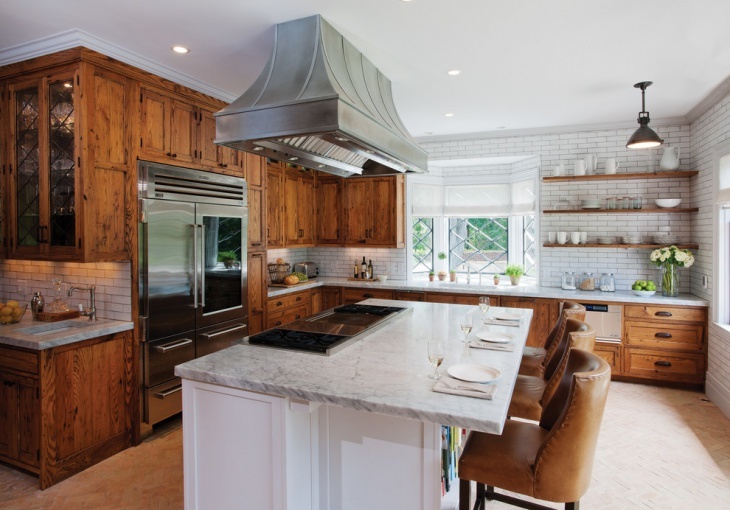 If height is not much of your concern, you should check out this low country kitchen sideboard. 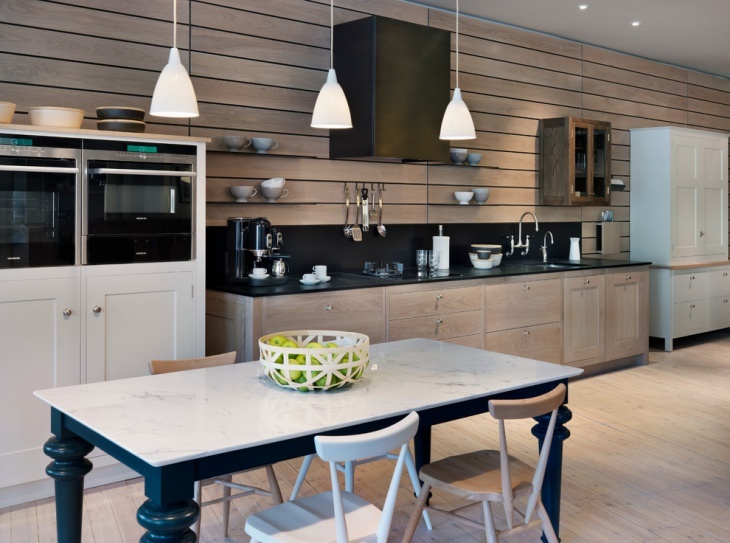 The beach and oak sideboard provide an interesting contrast to the black sink and cooking units. 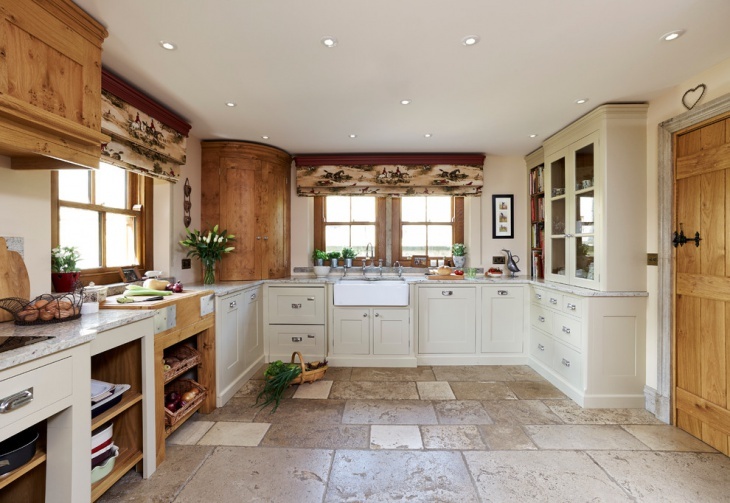 This antique kitchen sideboard is the ideal extension feature for the sink unit. 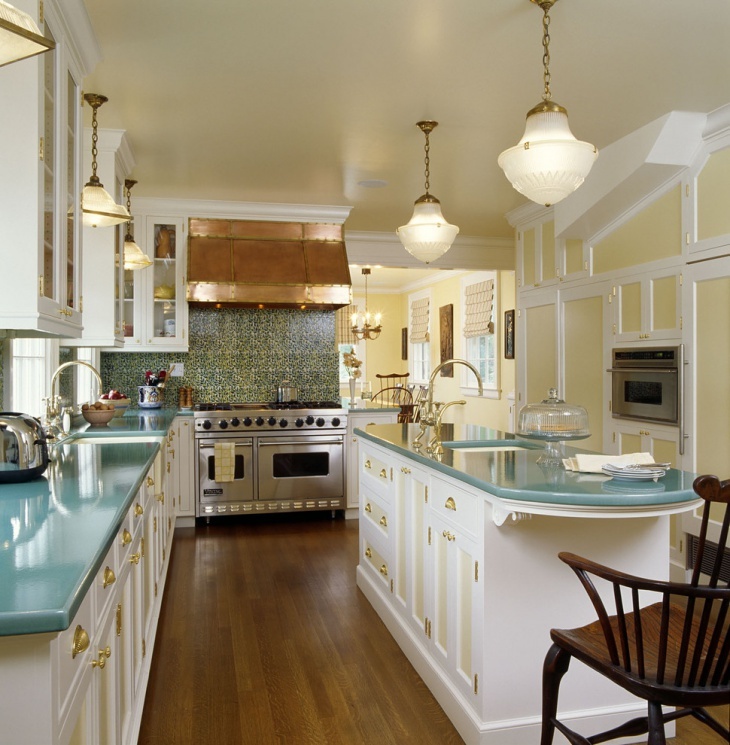 It provides the kitchen with old home traditional ambiance, which results in a space that creates a wonderfully nostalgic feel. The sideboard provides effective storage and display features, without ignoring the beauty of the antique. 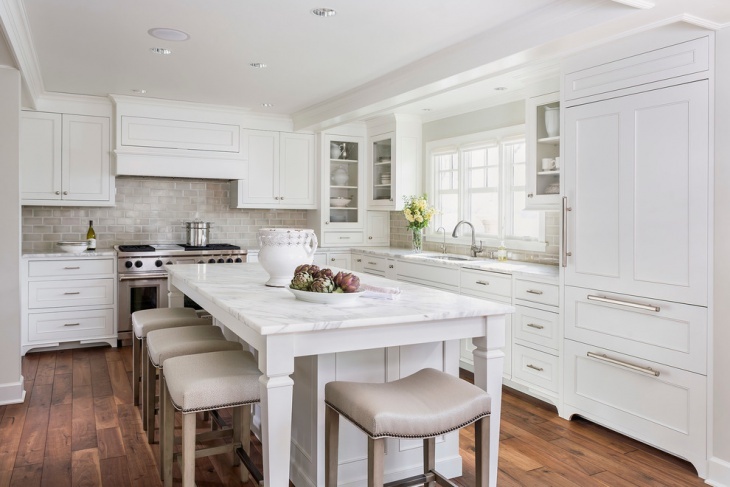 The white wooden sideboard used for this kitchen looks extremely nice. 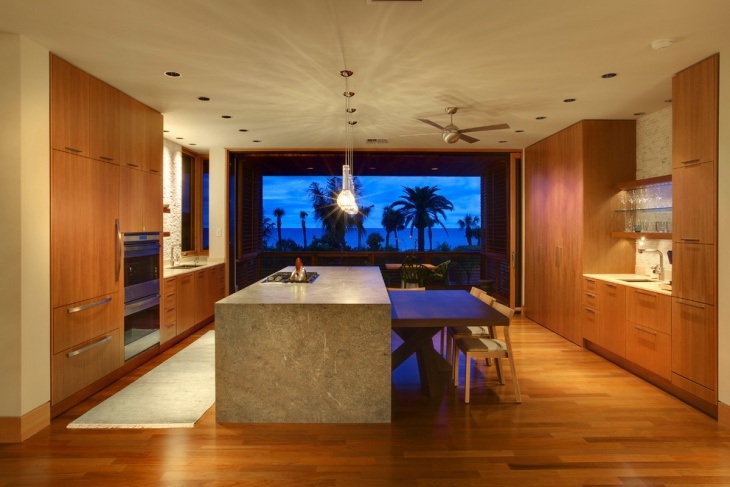 It stands amidst the modern kitchen featuring polished black sink unit and ultra-modern cooking/oven unit. The sideboard is rustic in appeal and it adds a nice and creative contrast into the whole set up. Having a kitchen sideboard with shelves allows you to have a multi functional kitchen feature. This sideboard, for instance, adds a unique appeal to this modern designed space. The design allows for ornaments to be displayed in floating shelves that serve as a point of interest. This marble topped kitchen sideboard looks so simple. The elegance of simplicity is very much evident in the choice of design. 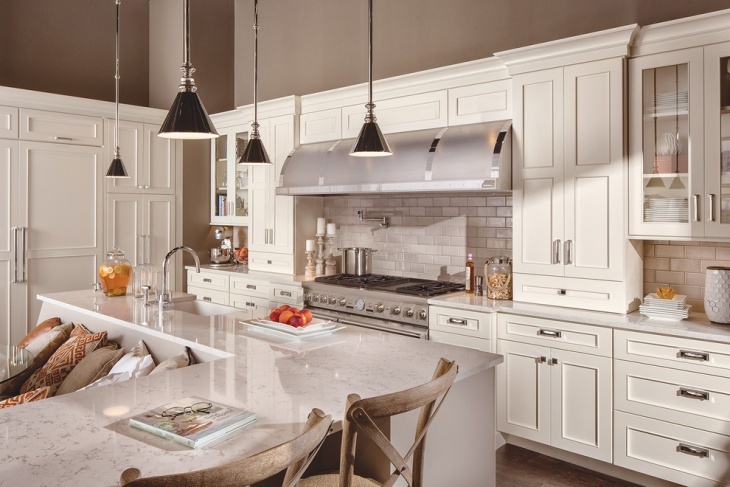 The white cabinetry features, give the room an atmosphere of cleanliness and efficiency. 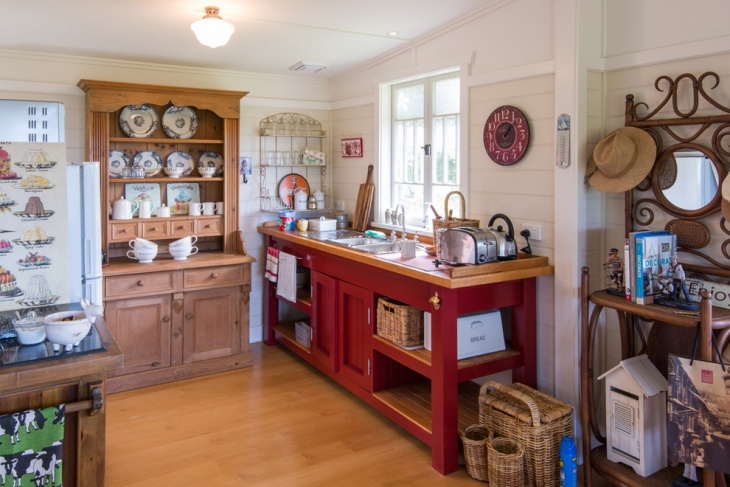 Many people know how important it is to have a sideboard in the kitchen. Though sink units do come with cabinetry, having a sideboard provides additional storage spaces. 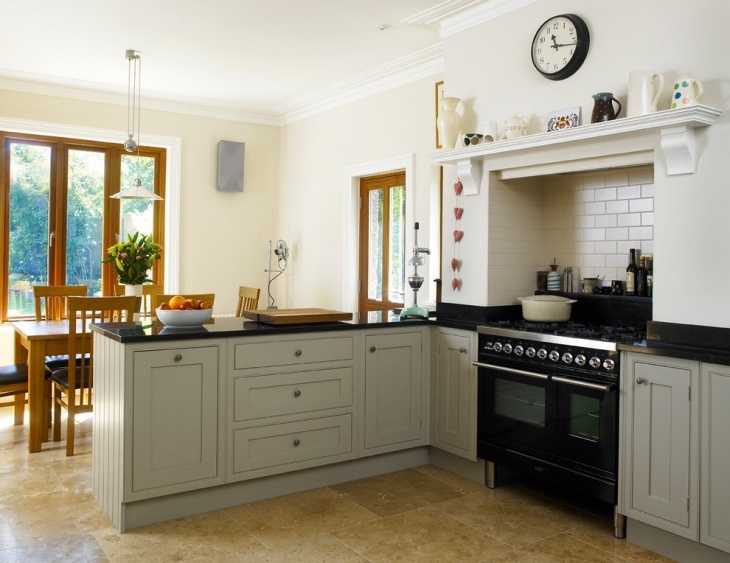 Some kitchen sideboards are low in design and they are ideal for big spaces. If you have a limited space, you should go for tall kitchen sideboard.